Our school district started a new alternative school this year. I went to the alternative school during our professional days. In retrospect, my visit was serendipitous to say the least. I walked into an English teacher's classroom. After pausing momentarily, she asked, "Where are you going?" As I stepped out of the room, I replied, "I left my phone in the car. I need to get my camera." I returned and took a photograph of the classroom layout. Exhibit A: English classroom. Note the students in the back left corner of the background. These two students will bump into each other as they pull their chairs away from the table. The English teacher asked me, "Is there a mathematical way I could figure out the best way to arrange my tables?" I asked her how many students does the arrangement need to seat. She said 19 students. I posed the problem to my MTPS students with only the photograph as a reference. Students began modeling the problem in several ways: drawing on graph paper, cutting out paper trapezoids and taping them to notebook paper, applying masking tape on the floor of the classroom to represent the tables, even using manipulatives. 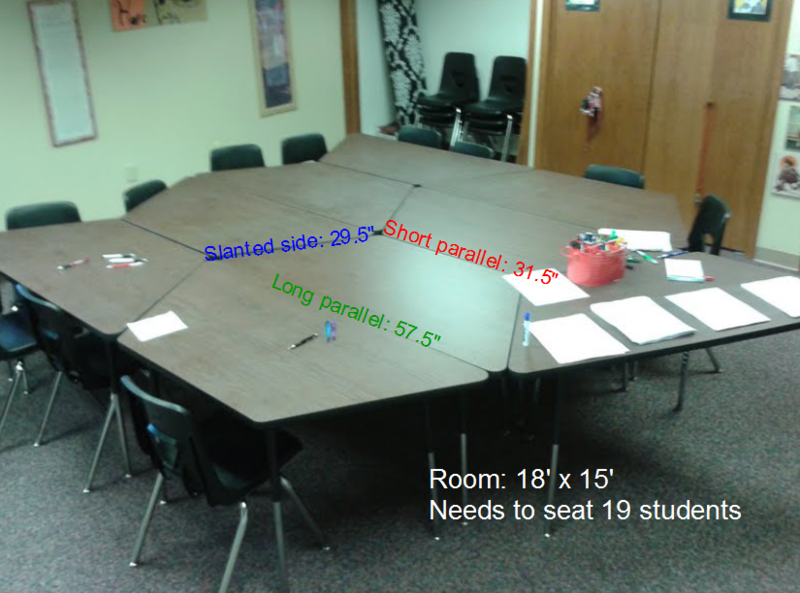 Exhibit B: A physical model of a possible table configuration, affectionately referred to as "Taylor's Diagram"
Before going to the lab to model with Geogebra, I did receive some clarification on the table and classroom dimensions. I included them in a follow-up file for students. Exhibit C: The table photograph with dimensions listed. The English teacher also added there is a tenth table available should we need to use it. I will publish some of the students' modeling work later. For now, I am interested in potential solutions readers will pose. 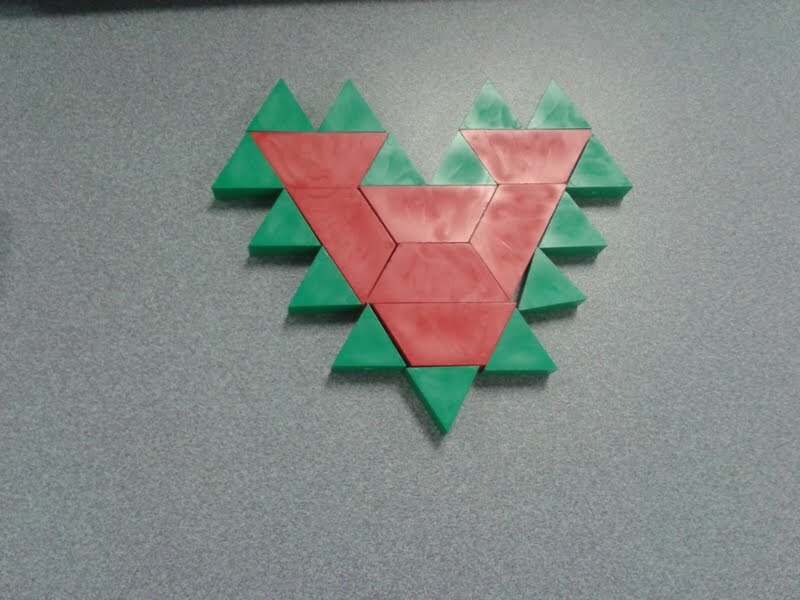 Posted in PBL: Problem Based Learning on September 24, 2013 by Shelby Aaberg.